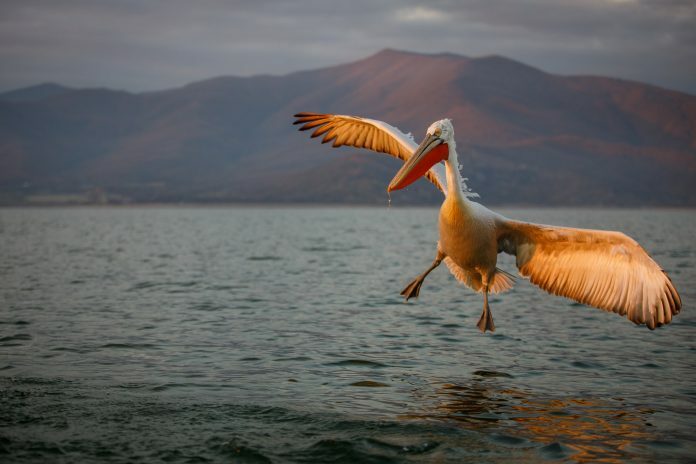 Dalmatian Pelicans photographed on Lake Kerkini in Northern Greece. 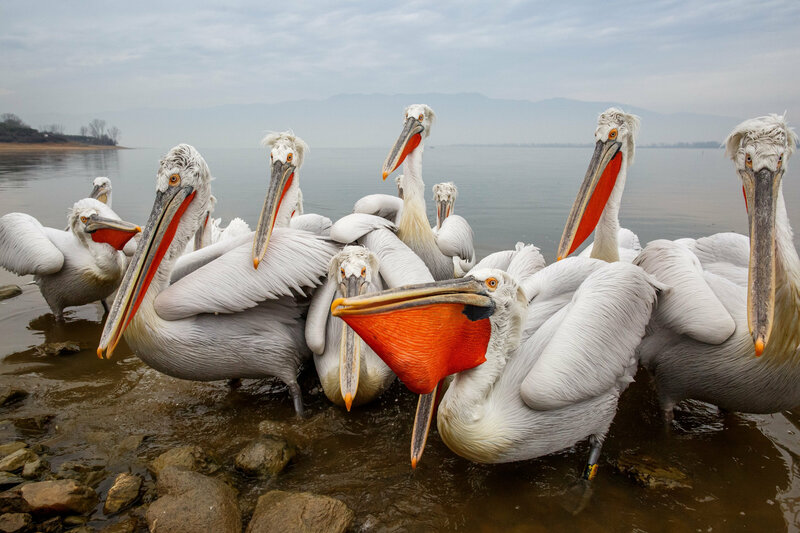 A British photographer spent two weeks befriending huge ‘Dalmatian Pelicans’ to get these incredible close-up pictures of the pre-historic looking birds. 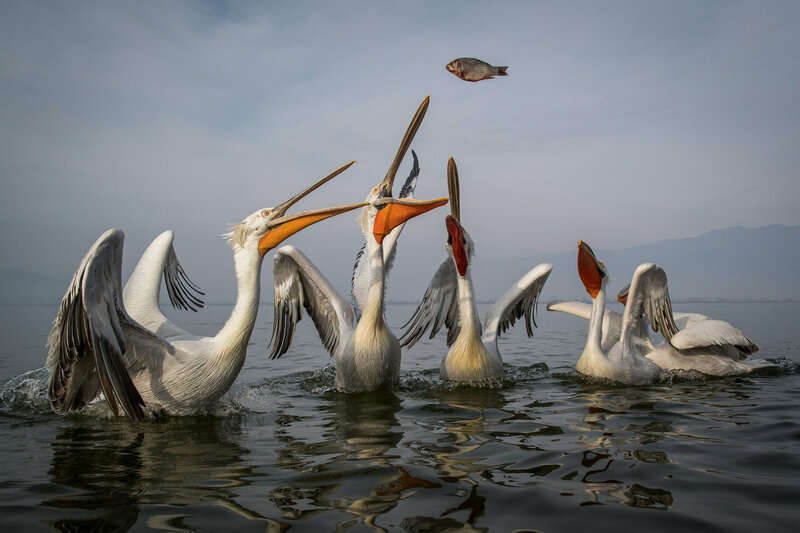 Sean Weekly, 28, snapped the “charismatic” troupe of the largest members of the pelican family in a pristine lake surrounded by the stunning snow-capped mountains. 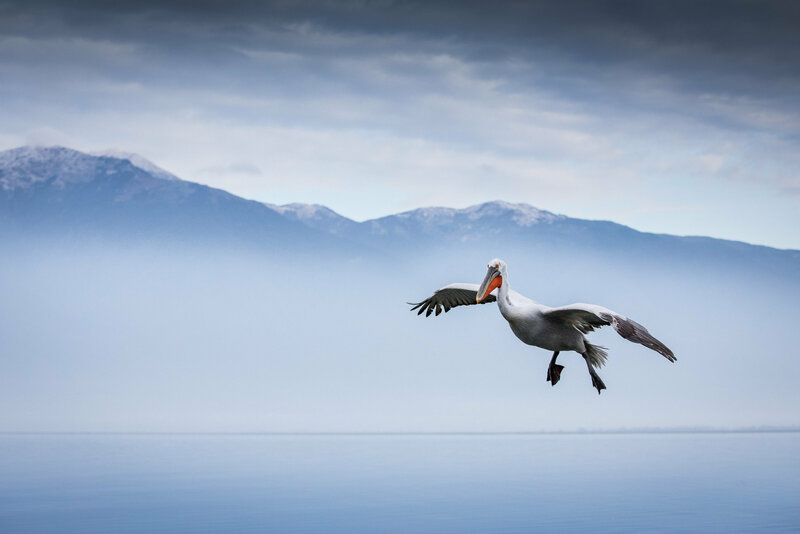 Mr Weekly, from Sittingbourne, Kent, braved freezing temperatures on a boat every morning to take these beautiful shots of the birds soaring above Lake Kerkini in Northern Greece. He would take close-up shots of them showing off their unique head-feather “hair styles” later in the day using a shore-line feed to draw in the large avians. 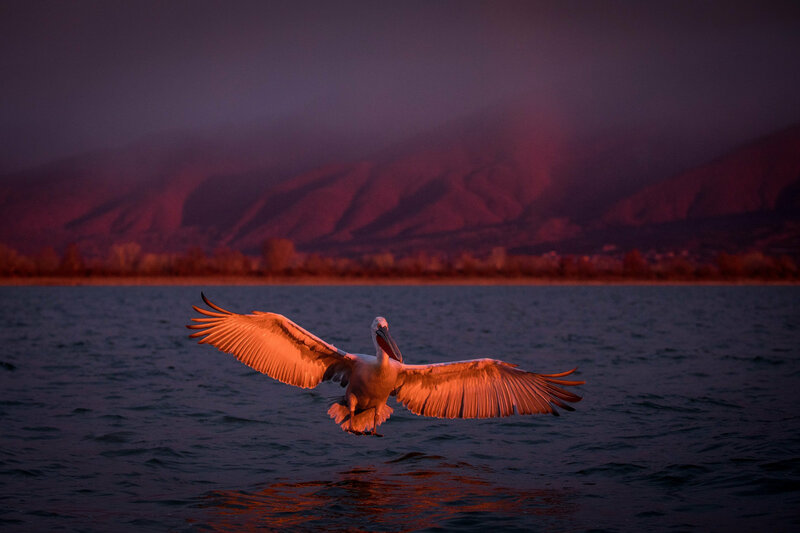 The Dalmatian Pelicans which are often mistaken for the Great White Pelican and weigh about 10kg are identified by their curly nape feathers, grey legs and silvery-white plumage. Mr Weekly said: “They have some amazing head feathers which gives these birds their own personal hair style. 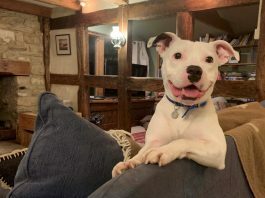 “They are so full of personality and character and ultimately are stunningly photogenic to look a lot. 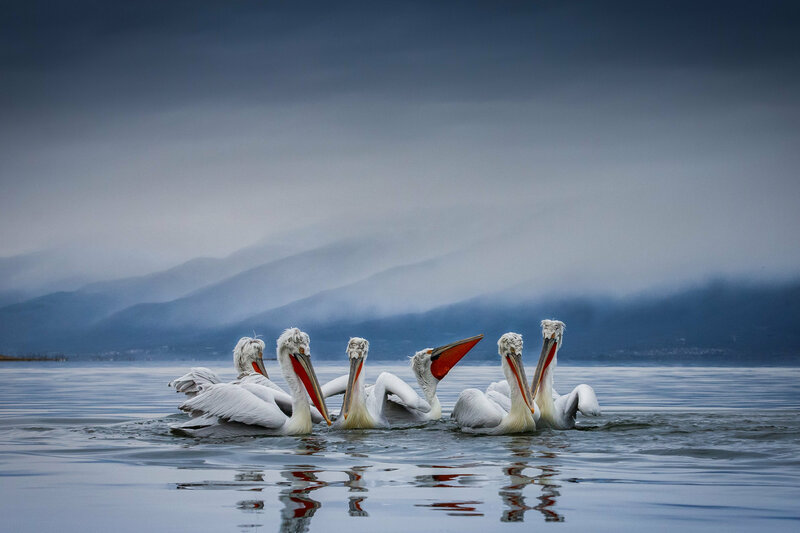 “The conditions on the lake itself offered some beautiful scenery with towering snow capped mountains and rolling clouds and because of this beautiful environment I tried to include the scenery a lot in my photos of the pelicans to show what an amazing location these birds live in. “It took me almost the two weeks whole weeks to get this specific image. “As I wanted all the birds looking at the same direction without any distractions in the image e.g. half a pelican in the frame etc. I knew what I wanted to so it was a matter of just waiting for the right moment throughout the trip. 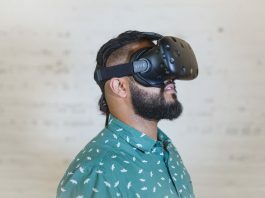 The photographer who took the shots while running a Nature Lens session on the lake will return next year. 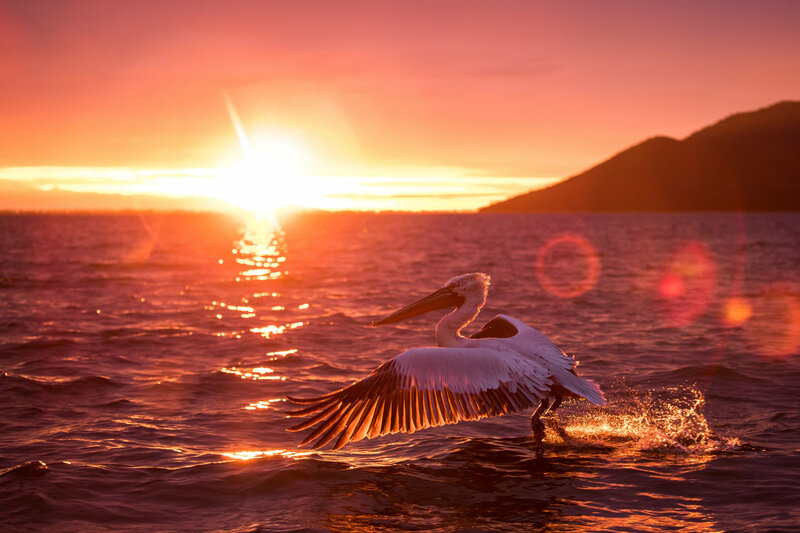 He added: “Feeding of the pelicans on the lake began by the fact that the pelicans follow the fishermen who haul their catch in on a daily basis. “So they started to see the fisherman as a an easy source of food. The pelicans have become familiar with the people in this process because no one has ever threatened them.